Are you at MAGFest this weekend? Every single Legends of Localization book is there too! 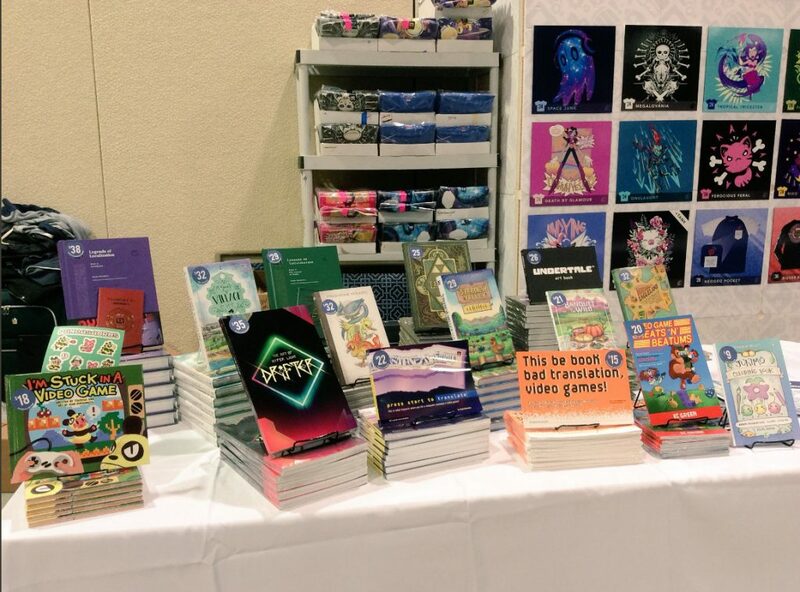 Stop by the Fangamer booth to pick up a copy or two, if you desire. I was planning to go to MAG to work at the FG booth, but some things came up, so I’m actually not there. I’m kinda glad, too, after seeing what the weather’s been like on the east coast this week. x_x Stay warm, my MAGFest friends! Previous post: Move Over, Dr. Wowee! Hooray east coast! It’s a nice comfy 14°F right now, but with the 20+ mph winds it feels like -2°F! And I think tomorrow is supposed to be even windier. And I’m not even the worst place on the east coast.